Alumnus Kwanbo Kim (on the right) is currently working at eXiin in Brussels on a game called "Ary and the Secret of Seasons". Kwanbo was interviewed by SideFX, the company behind the amazing software Houdini, about his work for the game and how he used Houdini in their pipeline. 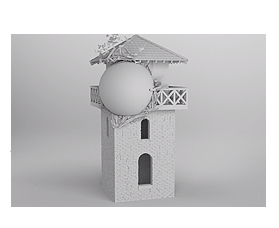 With Houdini it is possible to create procedural assets: 'smart' 3D models, which can be altered by means of parameters. This was succesfully implemented by Kwanbo in their game. eXiin | Ary and the Secret of Seasons | Houdini Connect from Go Procedural on Vimeo. This is also part of the curriculum here at DAE, since proceduralism is the way to go in this industry. We will show some of our students' results soon here on our website.